What I see is the sequence of such a situation; whereby the gentleman is in fact making a gesture... With his digits and his headwear. It bothers me more than it should that they changed the colour order from red/orange, green, blue to blue, red/orange, green. It's truly madness. Why doesn't the first book have "Scepter of the Ancients" on it? That's the name of it in the US, right? I'm okay with it being the normal/non-American title. I never saw the point of adding it anyway. Maybe they just decided against it. 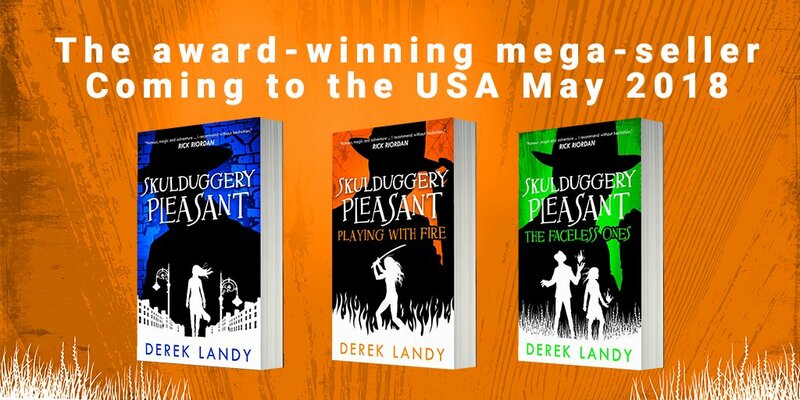 As a Skulduggery diplomat in the US, I'll do my best to proselyte new readers. The first one looks nice but the poses of the other two look stilted. I like the overall style, though. these covers have super grown on me. also i LOVE that finally the books are being properly released in the us. i can't believe they haven't been released there before? seems bizarre. The first three were released around the same time we got them here (with the horrible covers). There was an ebook push a few years ago with original artwork. We'll see if they go beyond The Faceless Ones this time.